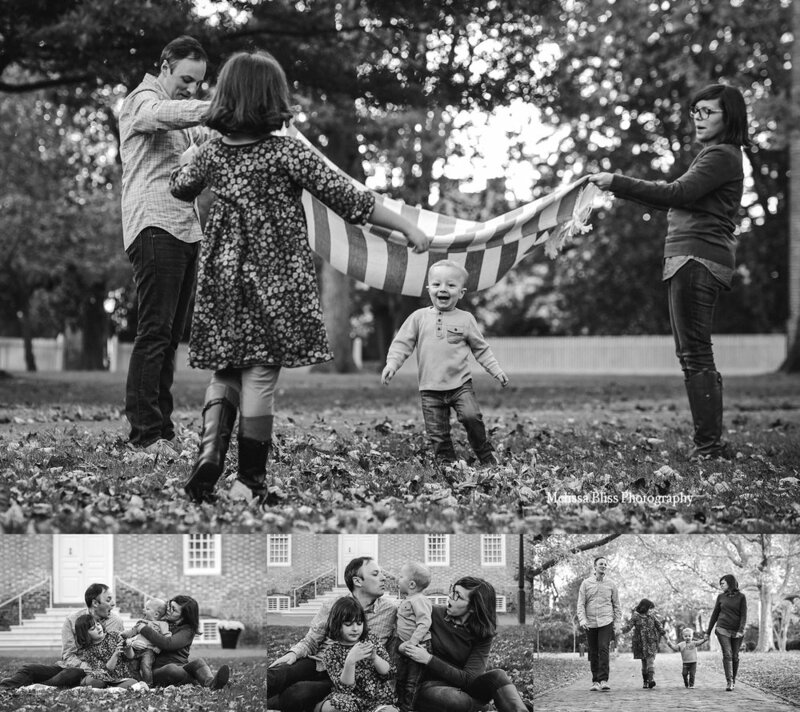 I met the Smith family for a fall photo session in Williamsburg over Thanksgiving weekend. They are alumni of the College of William & Mary, and were in town visiting family for the holiday. We decided the William & Mary campus was the perfect spot for some gorgeous fall photos and we met there for our session. It was a brisk, breezy day, but so beautiful with all the color in the leaves! I love to keep my sessions moving, so that no one gets bored. 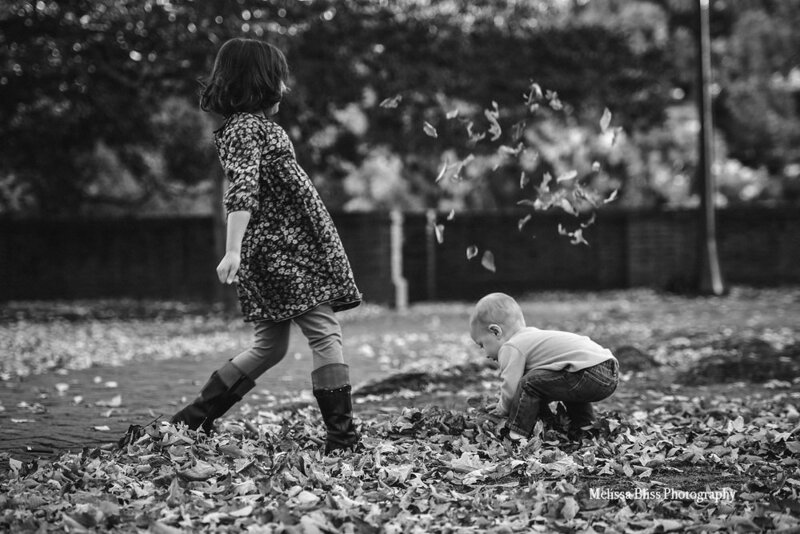 We kept their kiddos busy playing games and running through leaves. Not only did it produce some awesome giggles, but it kept them warm in the wind too! Perfect childhood moments. Can you think of a better way to spend a golden fall day? I loved getting to know this beautiful family! I am so glad they schedule a lifestyle session for their visit to CW! It is one of my absolute favorite locations for fall sessions. The scenery never disappoints! And I got to sneak in a side trip for some delicious Colonial Williamsburg ginger cakes too - yum! Thank you so much for visiting! If you enjoyed this post please share it.